FOCCUS, Inc. USA is a nonprofit organization dedicated to building, promoting and enhancing healthy relationships by offering resources and training that "Facilitate Open, Couple, Communication, Understanding and Study." FOCCUS, Inc. USA offers materials that are research-based, affordable, and user-friendly for both professionals and trained lay volunteers. FOCCUS Inc. USA, an apostolate of the Archdiocese of Omaha, was founded on the principal that communication and problem solving are the keys to a successful marriage. FOCCUS Inc. USA provides resources and support for organizations and individuals who guide couples through marriage formation and who offer ongoing marriage enrichment and support. The programs and materials offered by FOCCUS Inc. USA are based in the Roman Catholic Faith and are available in accessible non-denominational formats. 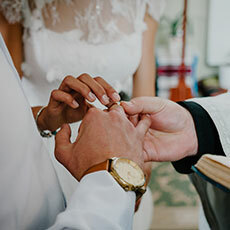 FOCCUS Inc. USA is comprised of the FOCCUS Pre-Marriage Inventory, the REFOCCUS Marriage Enrichment Inventory, and resources applicable to all stages of a couple's journey.